You might have thought I am training so hard I have no time to post – not quite. Concentrating more on my new business this year I just don’t have as much time and energy for training as before – even though I love it as soon as I get into the water or out into nature. I enjoy arm- and leg-training using fins in the lake, backstroking (for safety reasons) in the Neckar when the pool is too crowded on a hot day, or the luxury of having a pool almost to myself on a Dover-weather day (quite frequent, lately, except that the pool closes on a complete rain day). However, my best discipline right now is eating ice cream, and I have gained the weight that would have helped me last year – but I am not even sure I will need it right now. At the same time, the weight makes running more difficult. So I am thinking: last year too much training and too little ice cream, this year vice versa, and next year the middle path. Realistically, my big triathlon will take place in 2010. (Some friends were right last year, but I didn’t want to accept it.) By then I will be able to train again with more one-pointedness, enthusiasm and intensity and not depend on others too much financially. It will be our team’s 25th Channel swimming anniversary, maybe a great way to celebrate. Still I want to keep up a good training level this year. On the weekend of Pentecost (May 30th to June 1st) I did my first “long” swim this year: 3 hours in the outdoor pool – and I not only got a bad sunburn but most likely also a sunstroke, since I felt weak and almost fainted in the evening and was shivering in the pool the next day. It seems the sun is getting more aggressive, others felt the same. It was great to swim together with old Channel friends though, like in “olden days”. Speeds you up immediately. Last year I did 12 hours indoors in February, 5 hours outdoors May 1st, and longer swims starting June. Looking back to 1985 when I only started training for the Channel beginning of May, I felt that now with more experience it may even be fine to start long swims only in June, but it may just be enough for a comfortable Zurich lake swim. The only thing is, the Zurich lake is booked out. 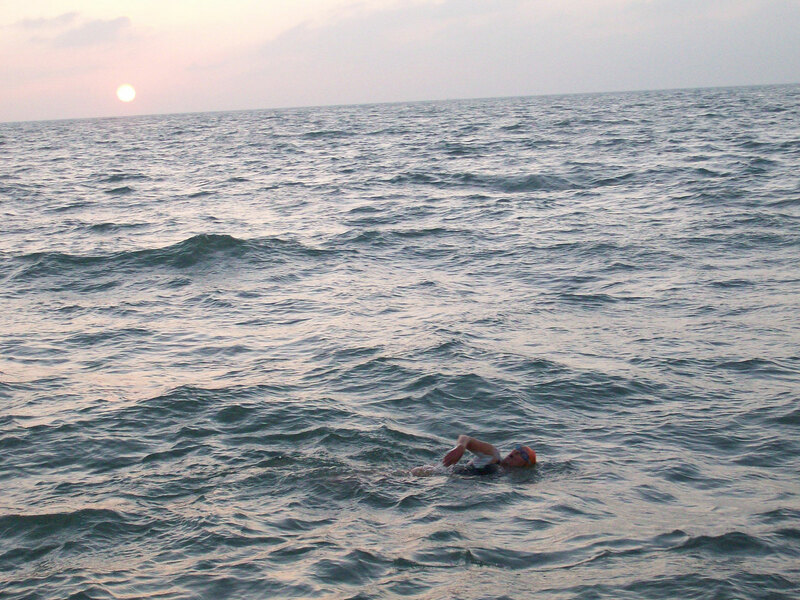 Maybe a long training swim in Dover in August – just to keep it up? Or hope for last minute cancellations for Zurich. Last year my long distance events came naturally – 12 hours indoor swim in February in Zurich, 6 hour race in March in Nürnberg, Heidelberg halfmarathon in April, Mannheim marathon and 12 hours of Basel in May etc. This year I just did the Heidelberg halfmarathon and Basel. But instead of 12 hours I only did 6 hours in Basel – the slowest six hours ever, I believe (don’t mention the distance, even if it was worth 3rd place for the ladies 50-60). How could I run the hilly and difficult Heidelberg halfmarathon in 2:33, but take over 3 hours for a flat halfmarathon 2 weeks later in Basel? My excuse to stop after 6 hours was that I was needed back in Heidelberg for translation in the evening and my ride was leaving early, but my feet hurt so much and I felt so heavy that I was grateful for that excuse. Plus it served as my first 6 hour run of the year. I did enjoy running slowly and steadily throught the night, but I was happy not having to run in the blazing sun later in the morning. When I look at the photos (click on the albums to see the photos) of the race, however, I am immediately inspired to do better or more next time! 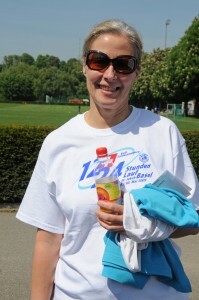 Another 12/24-hour-race in Berlin in July is beckoning – if I can only up my running discipline!